In order to “offer and award premiums,” the board needed to establish somewhere for farmers across the state to gather and display both their skills and the products of their skills. To this end, the first Indiana State Fair was held from October 20 to October 22, 1852. While the fair was established for the advancement of agriculture, many other attractions have graced state fair bulletins in the 165 years since that first state fair. Here, we explore just a few. 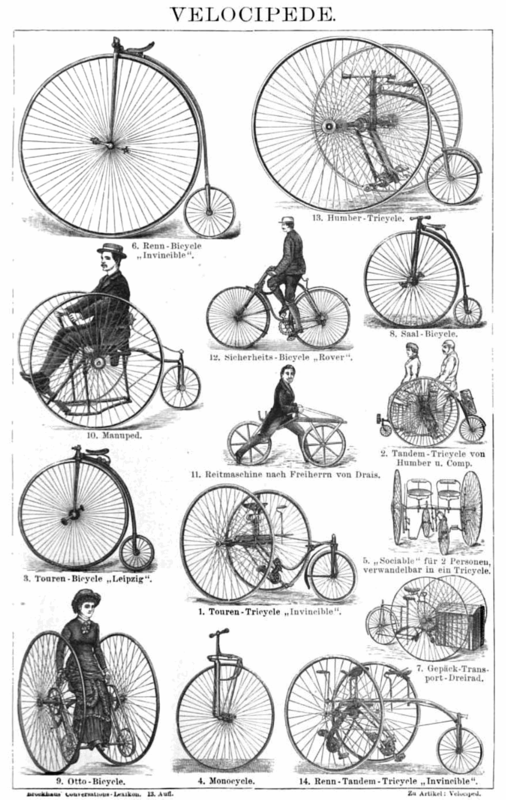 Illustration demonstrating the various forms of velocipedes in the late 19th and early 20th century. Image from Brockhaus’ Conversations-Lexikon: allegemeine deutsche, Volume 16. Accessed google books. In 1869, one of the attractions found on the fairgrounds was “Velocipedestrianism.” A velocipede is any human-powered vehicle with wheels. Today, we might call them bicycles, though there were velocipedes with anywhere from one to five wheels. Early forms required the rider to propel the vehicle with their feet, but in the 1860s pedals were added, making them faster. There were nine entries in the “Mile Trial” at the 1869 state fair. The winner, W.V. Hoddy of Terre Haute, finished in 8 minutes, 45 seconds and took home a $50 premium for his efforts. There was also a competition for the “Most Artistic Management of [a] Velocipede” which only had three entries. Unfortunately, there is no mention of what made Willie Domm’s management of his velocipede so exceedingly artistic. 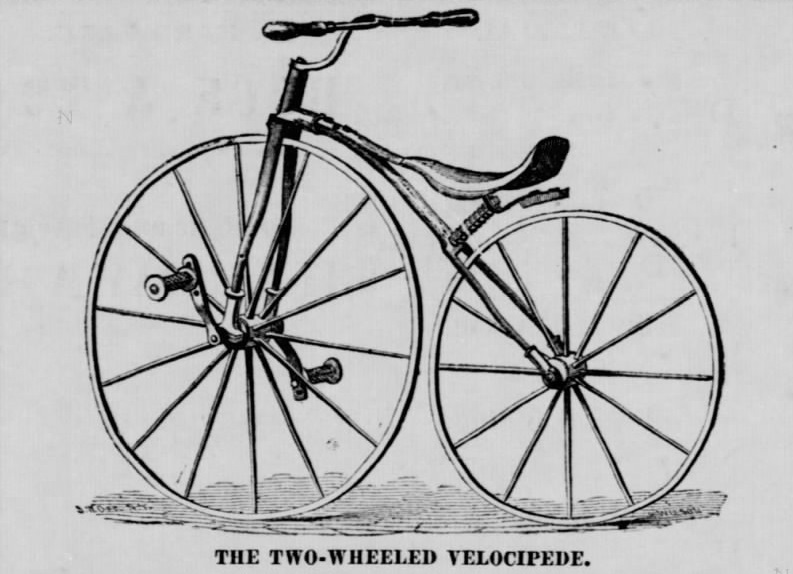 Illustration of 1860s Velocipede. The Plymouth Democrat, January 28, 1869, page 4, accessed Newspapers.com. 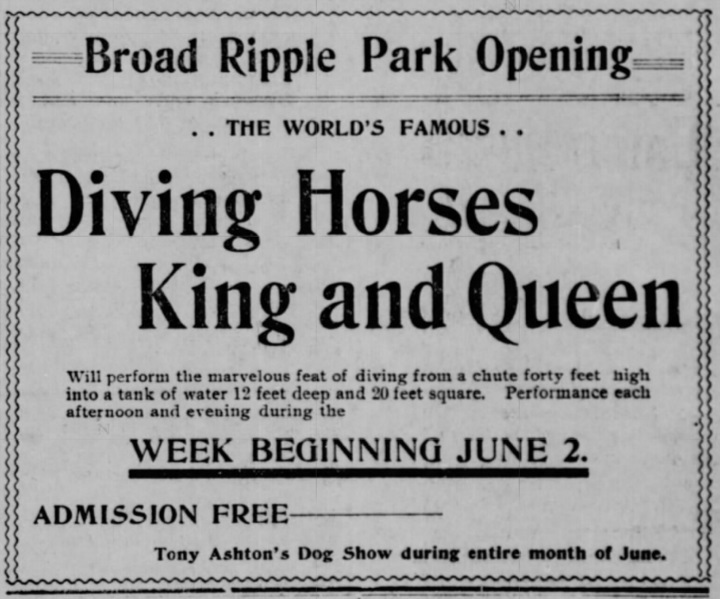 Advertisement for “World’s Famous” high diving horses. The Indianapolis Journal, June 1, 1901, page 6. Accessed Newspapers.com. “Mr. 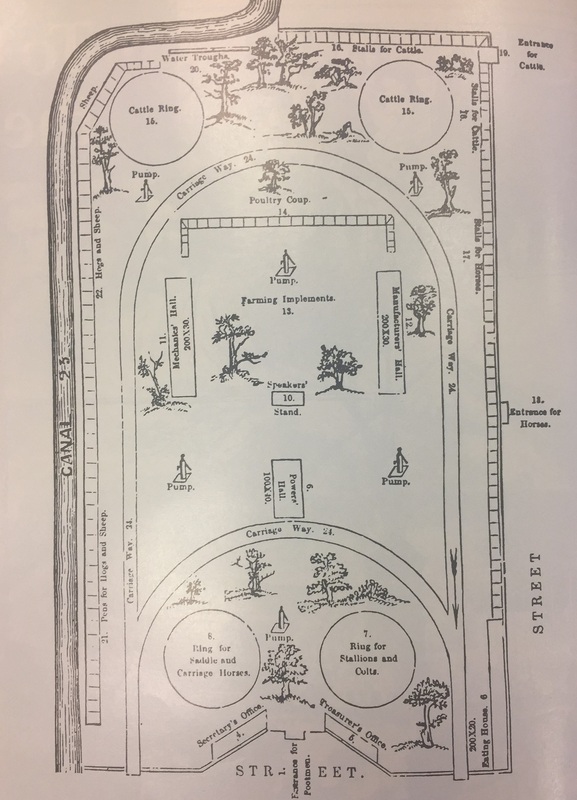 E. J. McGowan was present and presented a bill for extra expense in connection with the diving horses contract.” This is the only hint found in the State Board of Agriculture Report of one spectacle which occurred at the 1904 Indiana State Fair: high diving horses. Newspapers give the story a bit more color; local business man Hugh McGowan bought two horses, named King and Queen, who had been trained to dive from a forty-five foot platform into a pool of water. According to one article, “the method of training the animals was unique. When sucking colts, each was placed on a bluff overlooking a pond, on the other side of which were placed their mothers. At dining times, they were glad enough to make the leap and they have had to keep up the practice ever since.” The horses were a regular attraction at Fairview Park in Indianapolis as early as 1901 and were still doing regular dives as late at 1907. 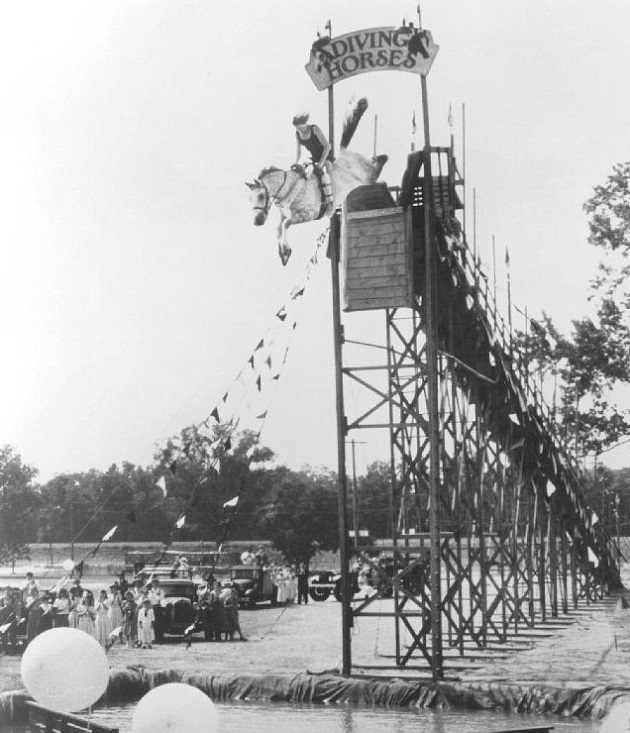 Example of high diving horses. While this photo was not taken at the State Fair, the set-up was similar to that of the 1904 fair. Photo courtesy of the Daily Mail. 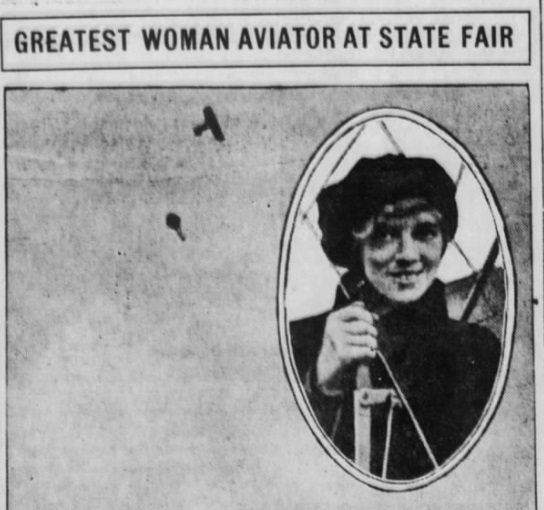 Newspapers announced the arrival of Ruth Law, an early American aviator, for the 1915 state fair with headlines like “Ruth Law, Lawless Skimmer of the Sky.” Most articles concentrated on her gender, noting that “she is just an ambitious, darling, feminine little slip . . . ” Unarguably ambitious, Law was one of only two female pilots in 1915 and had earned her flying certificate less than ten years after the Wright brother’s famed first flight. In fact, she bought her first biplane from Orville Wright himself. At the 1915 fair, she put on a grand show, performing “loop-to-loops,” daring dives, and buzzing the audience. She brought with her George Mayland, the “miraculous human fly,” who would accompany her on her flights to jump from the plane at a height of 2,000 feet and float to the ground on a parachute, to the amazement of the crowd. Law went on to break several flying records in her career, challenging gender stereotypes and encouraging a new generation of women to take to the skies. Newspaper announcement of Ruth Law’s presence at the Indiana State Fair. The Brookville Democrat, August 12, 1915, page 7, accessed Newspapers.com. 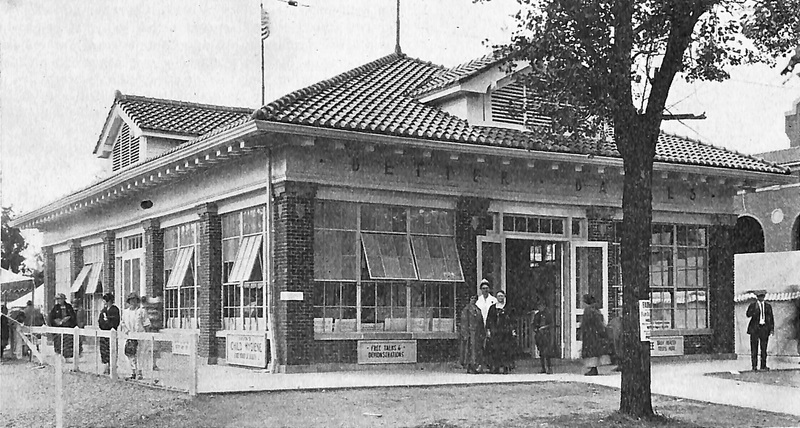 Better Babies Building on the Indiana State Fairgrounds. Today the building houses Hook’s Historic Drug Store and Pharmacy Museum. Photo courtesy of IUPUI. Doctors complete the physical examination of prospective better babies, 1931. Photo courtesy of Indiana Archives. 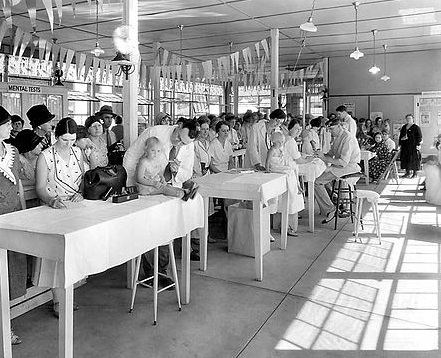 The scoring was scrupulous; each baby began the process with 1000 points and along the way, points were deducted for “physical defects” such as scaly skin, delayed teething, and abnormal ear size. Awards were given to those babies who scored the highest. Most “best babies” scored over 990. The highest score ever given was to Alma Louise Strohmeyer in 1923; she scored a whopping 999.92813. Better Baby Contest advertisement, 1930. Courtesy of the Indiana State Library, accessed Indiana Memory. On the surface, Dr. Schweitzer and the Indiana State Board of Health had admirable goals: to “lower infant and maternal death rates and to convince Indianans of the importance of scientific motherhood and child rearing.” However, underlying implications are less admirable. Through these contests, Dr. Schweitzer hoped to “breed” a new, better generation of Hoosiers. Many of her ideas came directly from the eugenics movement, which was popular across America in the early 20th century. The exclusion of African American and immigrant babies from the contests endorsed the widespread nativist and xenophobic ideas of the time. The assumption that socioeconomic standing was determined by genetics, and not environment, was central to sterilization laws implemented in the state. 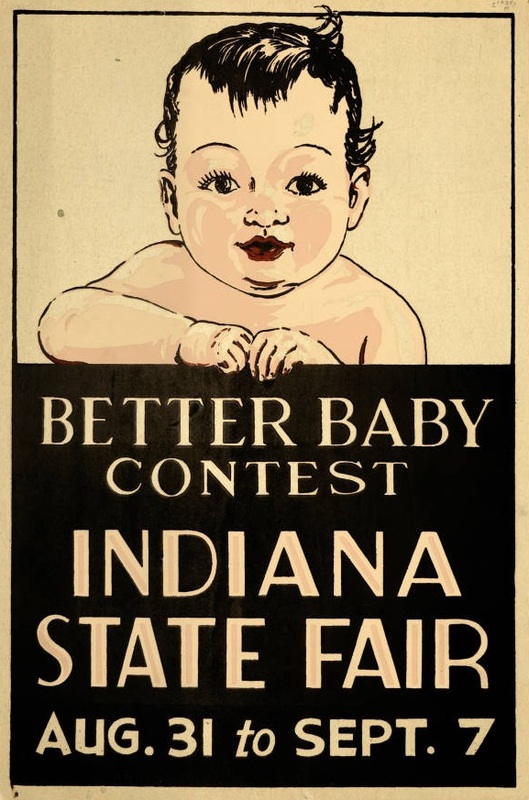 While Better Baby Contests ended in 1933, the eugenics movement persisted in the state for decades; Indiana’s last compulsory sterilization law was not repealed until 1974. For more snippets of Indiana State Fair history, check out Episode 6 of Talking Hoosier History, “Stories from the Indiana State Fair.” In it, we explore five fair occurrences: when farmers gathered in 1852 to learn about the latest innovations and compete for prizes; the Victorian moral controversy behind treating people like objects via sideshows; the 1964 Beatles performance; Jessop’s Butterscotch Corn and the young woman who built the business out of the back of a wagon; and Hook’s Drug Store Museum.